YouTube owned by Google is the most popular video sharing / hosting website in the world. YouTube established in 2005, it achieved more than 1,300,000,000 videos and still counting. Do you know which video has record breaking views on YouTube? 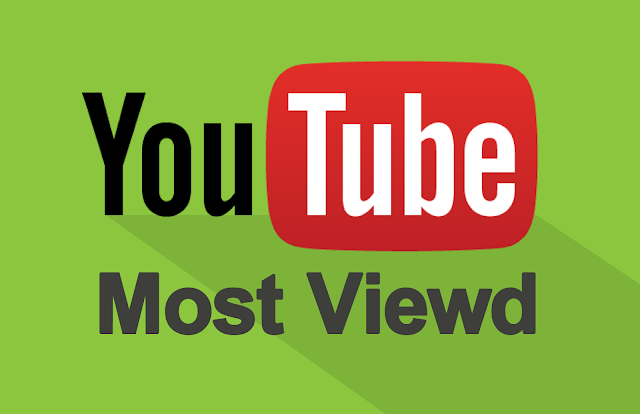 In this post we are sharing the most viewed videos on YouTube. Sorry by Justin Bieber is the 5th most viewed YouTube video with more than 2.85 billion views. The video song released in Oct 2015. Shape of You by Ed Sheeran (British singer and songwriter) is the 4th most viewed YouTube video with more than 2.87 billion views. The video song released in Jan 2017. Gangnam Style song by Psy is the 3rd most viewed (3.02 Billion) and 4th most liked video on YouTube. The music video uploaded on July 2012. See You Again video song is the 2nd most viewed YouTube video with more than 3.27 Billion views. The video uploaded on April 2015 on Wiz Khalifa official channel. Despacito song by Luis Fonsi is the most viewed You Tube video with more than 4.51 Billion views. The video uploaded on January 2017 on LuisFonsiVEVO official channel and the video achieved this record within short time.